MarketMAPS now offers Traffic Counts provided by Kalibrate in database formats, on maps, reports and web applications. Kalibrate is the premier provider of traffic counts for the US, major markets in Canada and Puerto Rico. Kalibrate has collected over 1.2 million traffic volume counts at more than 1,000,000 traffic data points. Kalibrate canvases almost 6,000 sources nationwide to collect this mission critical data. These sources include city governments, engineering firms, highway and transportation departments. 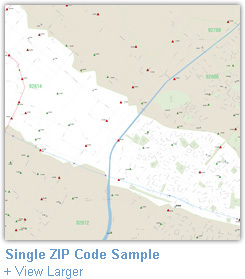 This database covers both urban and rural street, major road and highway networks. For retailers and owners of companies whose economic success relies on daytime population and activities, Kalibrate traffic count data is a key element to analyze this information successfully. The Kalibrate traffic count database also contains historical count information so users can analyze the growth or decline of traffic activity in their service area. We offer licensing options by state, region county, ZIP Code, ring and/or drive time trade areas. Users of the Kalibrate data can order the traffic count data in digital format or on a hardcopy or digital map of a specifically defined trade area or territory. 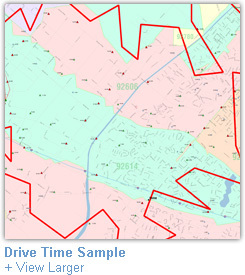 - Ability to make better and more accurate business decisions about site and territory analysis. 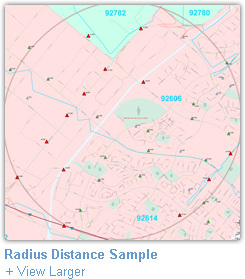 - Local site information on presentation quality maps.